The majority of Americans predict a weaker U.S. economy and a burgeoning national debt by 2050, according to a study by the Pew Research Center. Over half of those surveyed, 54 percent, believe that the U.S. economy will be weaker in the next three decades, compared with 38 percent who say it will be stronger. 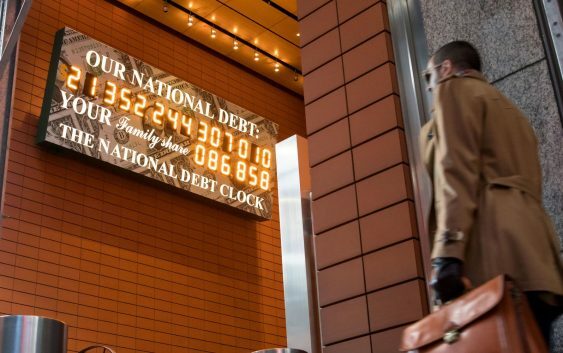 Similarly, 63 percent of Americans say the national debt will grow, compared with 16 percent of Americans who think it will be reduced or eliminated and 21 percent who say it will remain relatively the same. Fears over the economy also coincide with recent projections by the Federal Reserve, which downgraded its estimate for U.S. economic growth this year to just 2.1 percent from 2.3 percent on Wednesday. Fed officials cited an economic slowdown here and abroad as reason to downgrade their growth outlook. Harry Holzer, professor of public policy at Georgetown University and former chief economist for the U.S. Department of Labor, said the fear for a bright economic future is staring Americans right in the face. Rich Morin, co-author of the Pew study, reaffirmed this sentiment. “These results likely represent the current anxieties of the economy and the current performance of the economy,” said Morin. Contrasting Americans’ fears and the Federal Reserve’s estimates, the White House predicts 3.2 percent economic growth this year. President Trump pledged on the campaign trail that he would eliminate the nation’s debt, but instead it has increased. The total outstanding public debt was $22.01 trillion in February, up from $19.95 trillion when Trump took office on Jan. 20, 2017. Pew found that white Americans are more pessimistic than African Americans or Hispanics about the country’s future fiscal health: 57 percent of whites compared with 48 percent of African Americans and 43 percent of Hispanics predict a weaker economy in 2050. There’s also substantial divide in economic sentiment between political parties. Nearly 6-in-10 Democrats predict a weaker economy versus roughly half of Republicans. Across socioeconomic status, approximately half or more of every income group predict a weaker economy in the next 30 years. 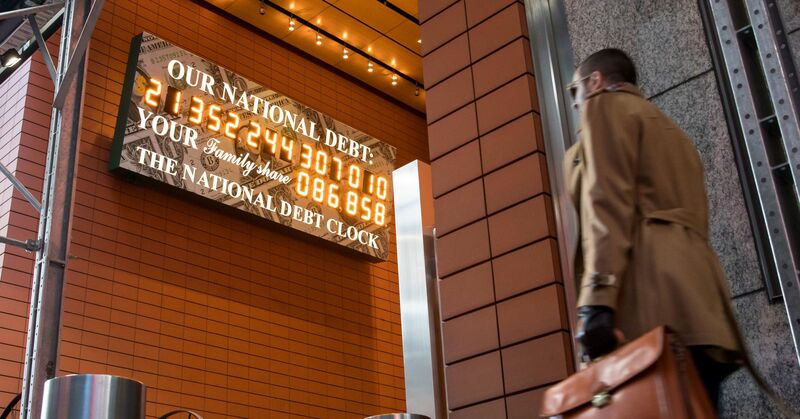 Sentiment was roughly the same across race and socioeconomic status concerning the country’s national debt. However, about the same number of Republicans as Democrats forecast a growing national debt: 64 percent and 63 percent. Researchers say the bipartisan agreement stands in sharp contrast with nearly every other question throughout the study. “I’m not surprised by the pessimism because if you look at the numbers the debt has been rising for a long time,” said Holzer. Since 2000, the national debt to GDP ratio has been gradually increasing. It’s also worth noting that current public sentiment is not indicative of future outcomes. “These results likely reflect current anxieties. It doesn’t mean that there will be major shifts in policy and the debt will grow smaller,” said Morin.